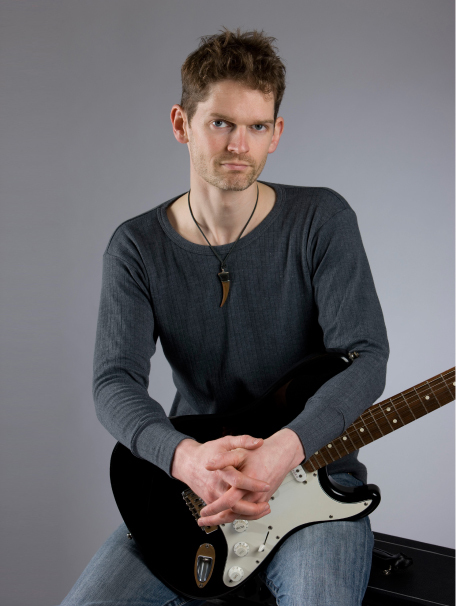 Stuart Bahn has been teaching guitar lessons in the Brentford area since 2000. He teaches at his home on Chandos Avenue, which is just one mile from Brentford high street. In your guitar lessons you can learn everything for electric, acoustic and classical guitar. Areas of learning include how to play songs, how to solo, how to improve your guitar technique, how to improve your rhythm and timing, aural training, music theory and more. Stuart teaches guitar lessons at his home on Chandos Avenue, which is a quick bus ride from Brentford high street. 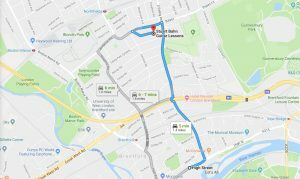 Alternatively you can travel from Brentford by car and park on Chandos Avenue, or it’s a 20-minute walk. 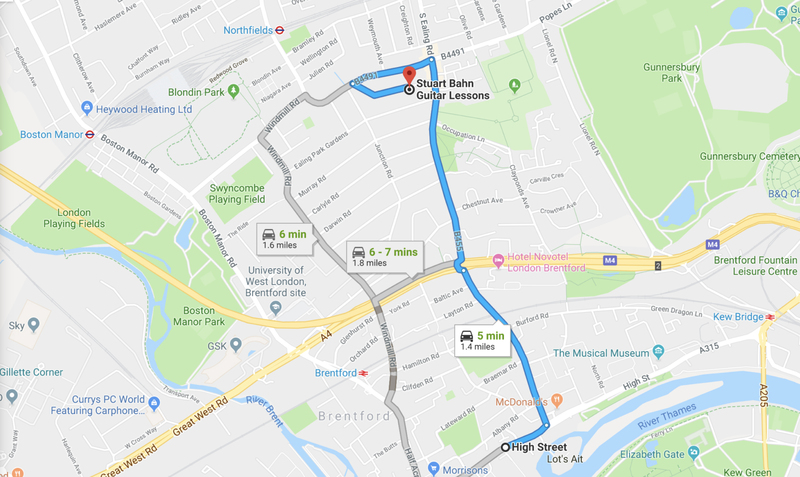 More details on travelling to your guitar lesson from Brentford are shown below. 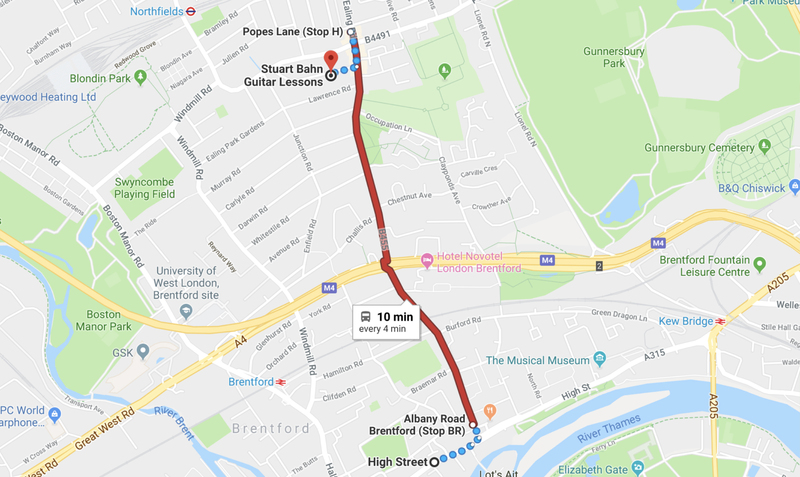 From Brentford high street you can take the very short drive north up Ealing Road (B455), which then changes into South Ealing Road after the A4. 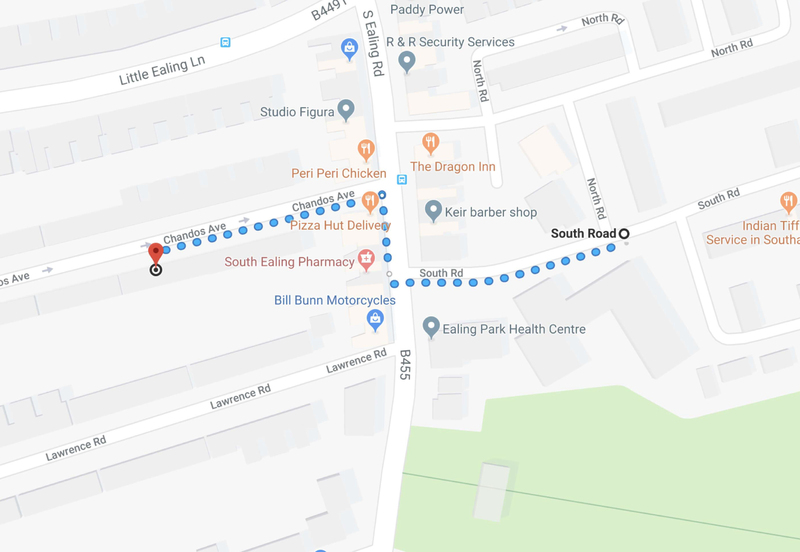 At the crossroads with Popes Lane, you can take a left down Little Ealing Lane and then the first left up Chandos Avenue. If you prefer to use Google Maps or Satnav, use the postcode W5 4EP. You can park on Chandos Avenue during your guitar lesson, anytime except for 3-4pm on weekdays. During this time you can park for free on South Road, which is just a moment’s walk from Chandos Avenue. South Road is shown in the map below. To get to your guitar lesson from Brentford, thy bus, the easiest option is to take the 65 bus. 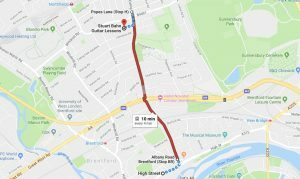 You can catch the 65 from Brentford high street (see the map below). 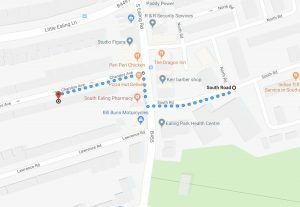 This will take you north, up Ealing Road and South Ealing Road. Get off just after Popes Lane (stop H) and then walk back about 100m to Chandos Avenue for your guitar lesson.